What we present to you in the pages below is not a touring plan in the traditional sense; we believe that there are many reasons why it’s not advantageous to give you a step-by-step list of attractions and expect you to follow them, including weather, your party’s particular interests, seasonality, crowd levels, and special events. Instead, we will provide you with expert insight into the rides, shows, and attractions at Universal Orlando Resort’s theme parks, and then enable you to put together a plan that works best for your situation. This is not to say that we won’t offer specific advice on how to beat the crowds – we will definitely show you the tried-and-true ways to minimize your wait times throughout the day. Nevertheless, there is no point in us telling you to start with attraction one, two, and three if your family has no interest in riding attraction one, seeing attraction two, or walking through attraction three. IMPORTANT: to get the most out of the information on this page, it’s important that you read it through from top to bottom, as much of the advice builds on itself as we progress down the page. Most guests visiting Universal Orlando have travel plans that bring them to the parks for one, two, or three days. We will now take a look at some general touring-plan concepts, and then we will look at those three different time windows. For first-time theme-park visitors, there are some basic touring-plan concepts you should be aware of. First, theme parks are almost always busiest in the middle of the day, generally from 10:00 am to 3:00 pm. This means that, if you want to minimize your wait times, you will want to visit the most popular attractions at the very beginning or the very end of the day. Then, save the middle to either check out the less-popular attractions, see the live shows (which usually do not have wait times longer than waiting until the next performance starts), or head back to your hotel for some rest. When scheduling your visits to the most popular attractions, visit them at the beginning of the day, if possible, and not at the end. This is important because you never know when a ride may be closed for mechanical reasons or for a private event. If you stop by an attraction at the end of the day and it’s closed, you simply are out of luck; however, if you visit first thing in the morning and it’s temporarily closed, at least you will have the opportunity to try again later on. And private events are really never scheduled early in the day. 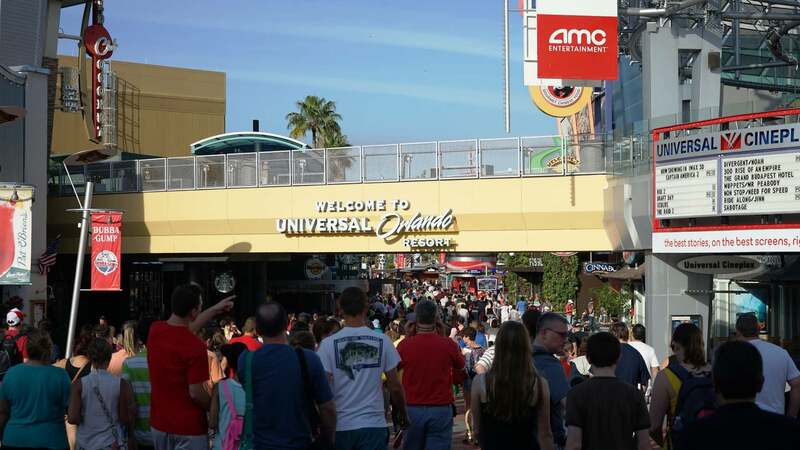 You can further guarantee access to Universal’s busiest attractions in the morning by getting Early Park Admission. To learn more, visit our complete guide to EPA. Consider the weather. Most of the attractions at Universal Studios Florida are indoors, while most at Islands of Adventure are outdoors. Check the forecast for the period of time you will be visiting the parks, and adjust your schedule so you are at USF when any possible bad weather is rolling through. Learn more about weather at Universal Orlando. Visiting both Universal Studios Florida and Islands of Adventure in one day is possible but definitely not recommended. For those of you who are forced to do so, however, we’ll discuss it now. Because USF and IOA are right next to each other, and because they’re connected by the Hogwarts Express, you can quite easily plan on spending the morning in one park and the afternoon in the other. To start your one-day plan, get your family to the Islands of Adventure turnstiles 45 minutes before the park opens. When you’re let in, use our IOA priority list to determine the order in which you’d like to do the attractions, bearing in mind that you should expect to only get to half of them, but you may be able to do more depending on crowds and how much you hustle. To successfully complete a tour of both parks in one day, you should be moving toward Universal Studios Florida by 1:00 pm. Use the USF priority list with the same expectations. This is the most popular way guests experience Universal Orlando’s theme parks, and it gives you the flexibility to spend more time enjoying the details of each park and every single one of its attractions. Furthermore, this also allows you some time to return to your hotel in the middle of the day, should you desire, or leave the parks for lunch or dinner at CityWalk. As we mentioned above, most of the attractions at Universal Studios are indoors, so plan on going to this park if there is a rain day. If you have a strong interest in Harry Potter, follow the advice given in our how to ensure your trip to the Wizarding World is a success! page. If you are staying for three days, we would also highly recommend that you take some time to explore the preferred and premier on-site hotels, as they offer some of the best dining at Universal, and you may be convinced to stay on-site yourself next visit! Did you schedule your visit to Universal Orlando Resort during the last week in December, during spring break, or in July? Well, the parks are definitely going to be busy (see our crowd calendar). During these dates, depending on your budget, you will want to consider purchasing Express Passes (see our Universal Express Pass access page for complete information) or, even better, stay on-site at one of the hotels that offer unlimited Express Passes (see all the benefits of staying on-site). Whether or not you have Express Pass access, the most important thing you can do when traveling during a peak period is to take full advantage of the theme parks’ extended operating hours. Typically, during these times, the parks will open at 8:00 am and close at 10:00 pm or later. Since the parks are busiest between 10:00 am and 3:00 pm, schedule “split” days: head to the park first thing in the morning and stay for a few hours. Then, exit them during the middle of the day, when the crowds are overflowing – during your break, you can head back to your hotel for some rest, enjoy some shopping and dining at CityWalk, or, even, explore Universal’s various on-site hotels via the Garden Walkway or complimentary water taxis. No matter what you choose to do, getting out of the theme parks will let you relax a bit and “reset” yourself for more fun later. Then, around 4:00 pm or so, head back into the action! By that time, many families who perhaps have not planned as well as you will be leaving with their tired kids. NOTE: always double- and triple-check park operating hours prior to your visit! 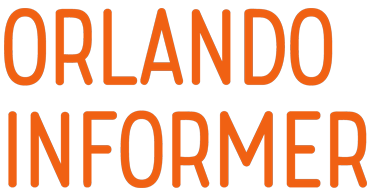 Now that you have some basic information about Universal Orlando and how to go about designing your own touring plans, let us explain how the next part of this process works. Below, you will find links to the OI Priority List for each of the two theme parks, which will tell you what the most popular attractions are at each theme park. With this knowledge, you can design your own touring plan, taking into consideration the interests of the people you are traveling with, so that you do the stuff at the top of the OI Priority Lists first thing in the morning or later on in the evening. Please note that the OI Priority Lists include very basic information about the parks and attractions. 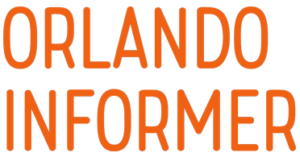 Be sure to visit our library of pages covering Universal Studios Florida and Islands of Adventure to learn more about each of the two theme parks and everything in them.